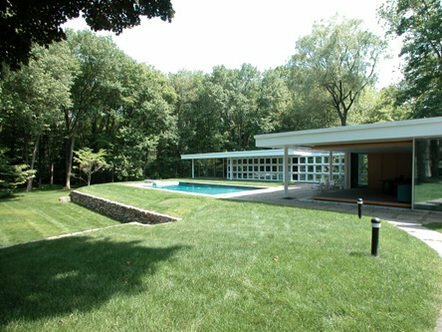 Like a fine work of art, this unique property is a collectable, a true work of genius by Twentieth Century Bauhaus architect Mies van der Rohe. This privately owned residence is one of three built by Mies van der Rohe in the United States. Located on 5.5 lush acres in lower Connecticut, 1 hour outside of New York City. 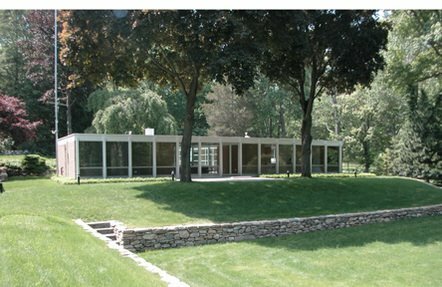 Walls of glass allow you to embrace the enclave of sloping lawns, bluestone patios and stone walls along a Connecticut river. The home is in impeccable condition and truly a special property.